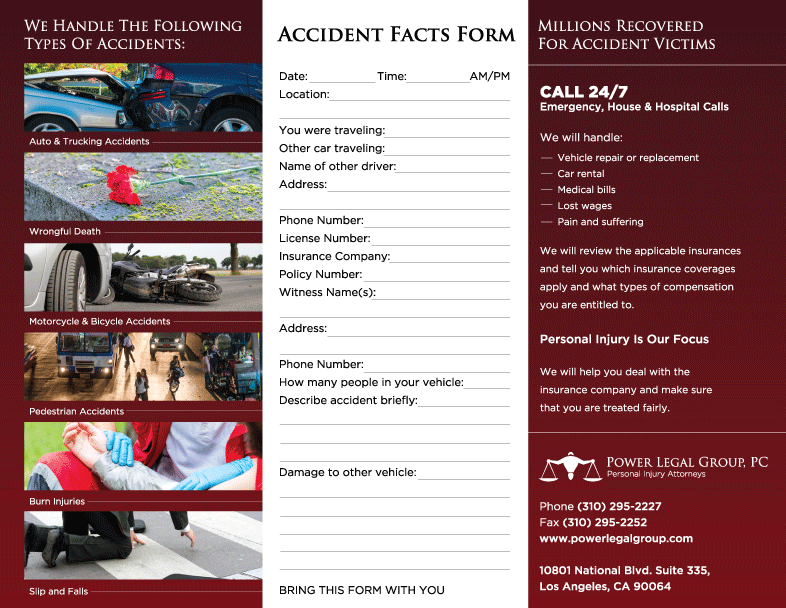 You don't know when a car accident will happen. Be prepared starting now. 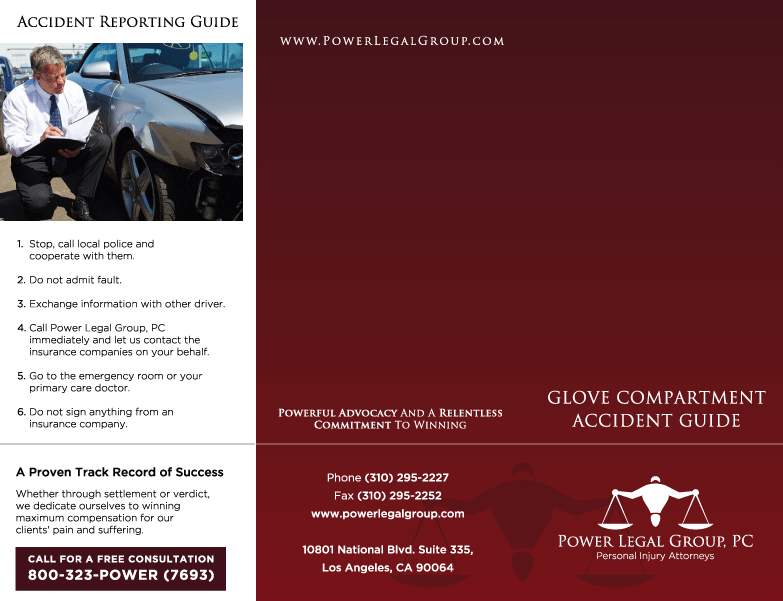 Download our auto accident guide and keep a digital file on your smartphone, or print it out (2-sided), fold it in thirds and keep it in the glove compartment in your car's dashboard.